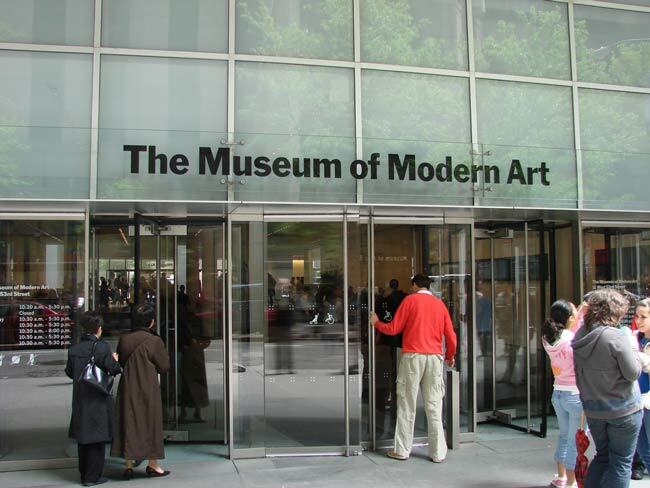 New York City’s Museum of Modern Art (MoMA) is gearing up for a $450 million renovation and expansion, its second major overhaul in two decades, reports Benjamin Sutton for Artsy. Work began in February 2016 and is expected to be completed in 2019. Gallery space will grow from 135,000 to 175,000 square feet. Public space at the museum will also increase from 87,000 to 109,000 square feet. The average salary for the editors, educators, accountants, curators, designers, salespeople, and librarians that comprise Local 2110 is less than $50,000. “The public has been wonderfully receptive to the leafleters outside the Museum, and during events—often stopping to talk with the employees who distribute the leaflets,” says Danny Fermon, a librarian who has worked at MoMA since 1971 and is on the bargaining committee. The main contract items at issue…include the museum’s attempts to do away with or reduce step increases. This system, introduced more than two decades ago, ensures that employees are making a certain percentage more than the minimum salary for their title. Another benefit at stake is the museum’s system of healthcare reimbursement accounts, which are currently available to all of the lowest-paid employees in the union, half of the mid-range union employees, and none of those making over $75,000, according to Local 2110’s most recent contract; the union would like to see those accounts made available to all union workers. Local 2110 members last negotiated a contract in 2015. That round also involved working without a contract, but it was settled without a strike. In 2000, however, workers did strike for 134 days, with the strike “finally coming to an end at 3 a.m. on a September morning following a 15-hour bargaining session,” writes Sutton.